SMPS (scanning mobility particle sizing) systems are high performance, high resolution particle counting and sizing systems typically capable of detecting and measuring ultra-fine / nano sized particles as small as a few nm in size right through to 2um to 3um. These high resolution systems are typically purchased by and found in university research laboratories and leading particle / aerosol research facilities throughout Australia and the world. LAF Technologies is very proud to represent Grimm Aerosol Technik who manufacture some of the world’s best and most widely used SMPS systems. Based in Germany, their products are manufactured to extremely high standards, noticeably better then competitive systems we have seen and used over time. Their systems offer unmatched resolution and they are rugged, reliable and easy to use, while still allowing the aerosol researcher the ability to tweak the Lab View based software to perform tasks simply not possible on competitive systems. Used in Australia by CSIRO, DSTO and many other reputable organizations, Grimm Aerosol Technik SMPS systems may be used for a wide range of ultra-fine and nano-particle related applications. Furthermore, Grimm has also combined their SMPS system technology with their optical spectrometer technology which has resulted in the world’s first and most advanced WRAS (wide range aerosol spectrometer) capable of measuring particles (in a portable handheld device) from 10nm to over 35um in size. Grimm also offer a range of small state-of-the-art portable battery operated particle instruments right through to larger fixed dust and air monitoring stations for outdoor air monitoring applications. 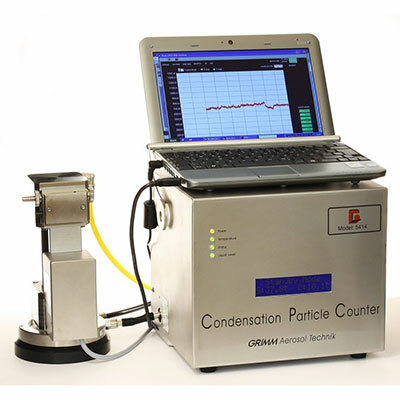 Their SMPS systems also support a wide range of Grimm CPC (condensation particle counters) optimized for varying industry and research applications. 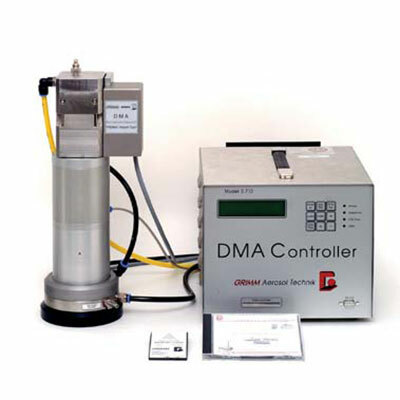 They also offer faraday cup electrometers (FCE) for the measurement of the number concentration of Nanoparticles, they offer a range of precision differential mobility analysers (DMAs) for the size distribution in different size ranges, several aerosol neutralizer types and many other popular system options and accessories.